Whio Awareness Month in March saw over 200 blue rubber ducks race down Te Anau’s Upukerora River for the ‘Great Fiordland Whio Race’. Earlier this year ranger Don Herron tramped his way to South Ohau Hut in Tararua Forest Park. Today’s photo of the week celebrates World Rivers Day. World Rivers Day is held on the last Sunday of September and is a day to recognise the importance of rivers all around the world. It is a chance to reflect on the environmental, economic, recreational and cultural benefits that rivers provide. Andrea Schaffer captured this photo along Rob Roy Track. 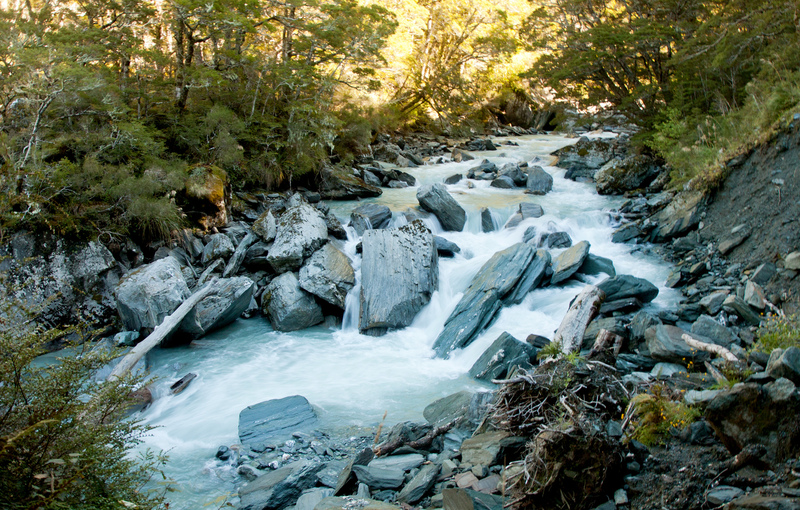 It shows a stream as it flows down from a glacier, through Mount Aspiring National Park, and down to meet the West Matukituki River.